A dramatic shift happened in Buddhism roughly 500 years after the historical Buddha. This dramatic shift is the rise of what is called Mahayana Buddhism or the Great Vehicle of Buddhism. This thought perhaps emerged in Kashmir and Afghanistan and spread to China, where it was patronised by local kings, especially the Tang dynasty in 7th century, and eventually spread to Japan. A simpler way to understand this is to see how many people who don’t chant the Gayatri Mantra prefer to worship the Goddess Gayatri. So, they visualised the mantra and the idea of Gayatri as a five-headed Goddess who sits on a lotus. The idea or the philosophy becomes the words or the mantra and the mantra becomes a deity that you can worship. 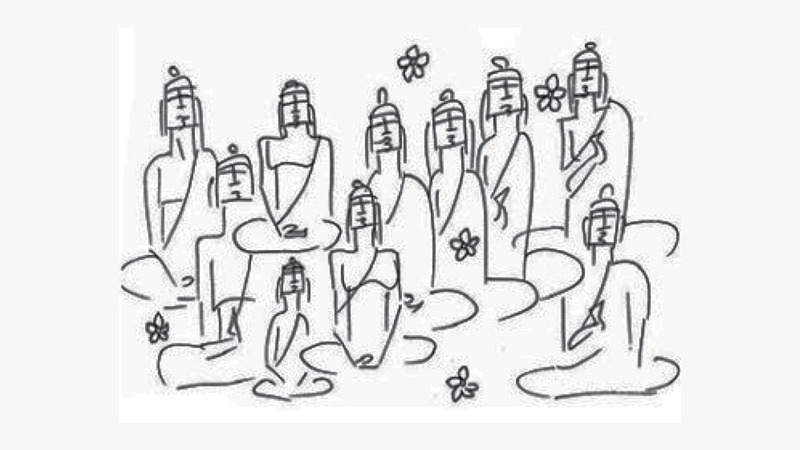 Those who couldn’t chant the mantras, or those who couldn’t practice the philosophy, simply worshipped the image, and this is what happens in Mahayana Buddhism. This facilitated the spread of Buddhism in China where Buddha joined ranks with the Taoist sages and so became more familiar.